Many of us in the United States watched the total eclipse of the Sun in 2017. I was at my place of work in the state of Washington, where the eclipse was 98%. An eclipse happens when the Sun, Moon and Earth are perfectly lined up, with the Moon casting a shadow on to the Earth. You might think that such an arrangement would happen every month, but it does not because the Moon’s orbit is at an angle to the plane of the Earth’s orbit around the Sun. 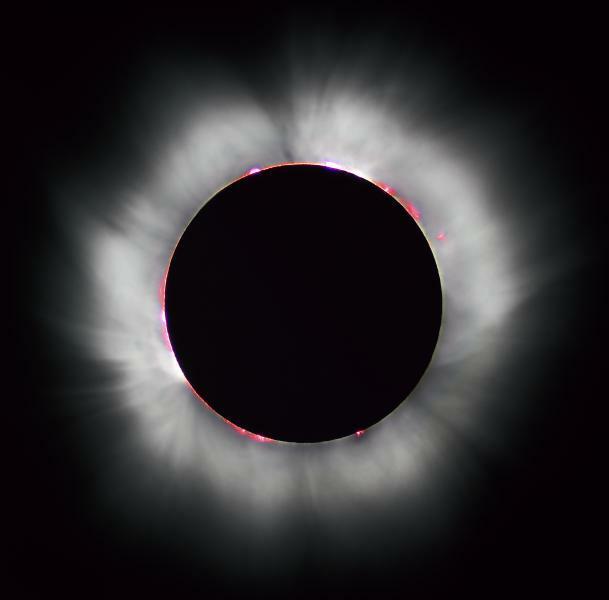 Nevertheless, total eclipses are not that rare and there is likely to be one somewhere in the world every couple of years. We are so used to seeing the Sun and the Moon that we forget some important but simple concepts. First, we forget that these objects are entirely different. The Sun produces its own light by nuclear fusion, but the Moon – a solid lump of rock – simply reflects sunlight. Also, we forget that the apparent size of these objects in the sky is the same. The Sun is many times bigger than the Moon but is also a lot farther away. The coincidence of their relative sizes means that the Moon can exactly fit over the Sun, enabling us to see phenomena such as the Sun’s promontories, looking like large flames. As Christians, we believe that this “coincidence” is actually a design feature. Eclipses in history can accurately be dated, enabling us to calculate the dates of many historical events. This is one of the reasons that God has designed this spectacular phenomenon. Thank You again, Lord, for the wonder of Your creation. We stand in awe at the way that it works, and we are amazed at the wisdom of Your plans. Amen. Ref: Encyclopedia Britannica, , accessed 8/22/2017. Image: Luc Viator, Creative Commons Attribution 3.0 Share-Alike.